As what we have wrote before, Nokia Singapore has confirmed that the new Nokia Lumia 920 and Nokia Lumia 820 smartphones will be released in the country in early December through its Facebook page last month. Today, the actual release date and pricing have finally been revealed. Priced at RM 2241 (SGD 899) for Lumia 920 and RM 1743 (SGD 699) for Lumia 820, December 8 has been set as the official release date for Nokia’s new Windows Phone 8-based devices. In addition to that, Nokia Singapore has also revealed the pricing for accessories that are meant for both devices such as JBL speakers, Nokia wireless chargers and Fatboy Wireless Charging Pillow. Meanwhile, Nokia has yet to reveal similar information for Malaysian market but judging from our experience during the release of Nokia Lumia 800 last year, that day shouldn’t be far away. 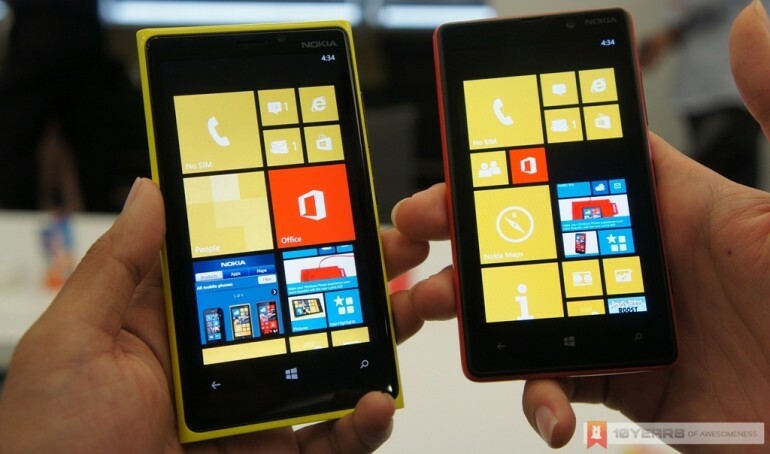 If you wondering what both Windows Phone 8 devices are all about, check out our previous hands-on preview of Nokia Lumia 920 and Nokia Lumia 820.